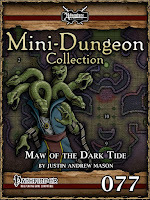 Another Mini-Dungeon adventure that I authored is now available for pruchase. 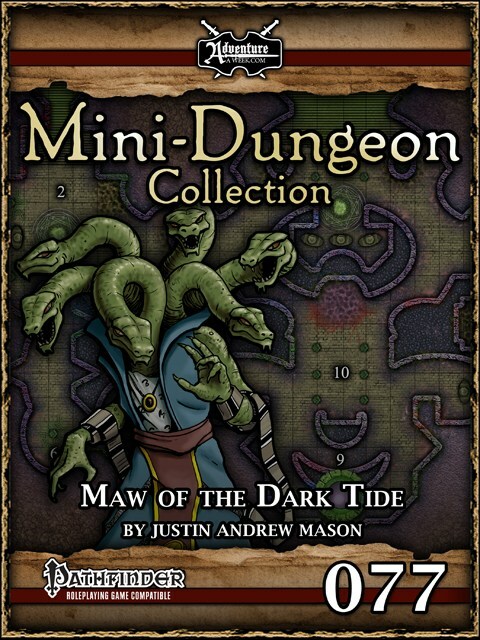 Maw of the Dark Tide (published by AAW Games / Adventureaweek.com) is an adventure for 5-8 PCs of Levels 15-20. “The Dark Tide Comes!” goes out the cry as the bells of the monastery begin to toll. It is too late. Dozens of tattooed cultists in service to the dark goddess Xyn burst through barricaded gates, slaughtering many. Within minutes the monastery is engulfed in flames. The cultist recede back to their mysterious floating isle and set back to sea, making way down the coast toward neighboring temples and shrines. No demands, just wanton violence and destruction of yet another holy site. 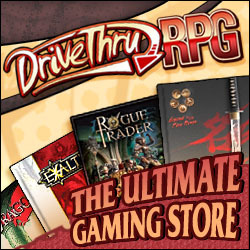 The reign of terror must be stopped!